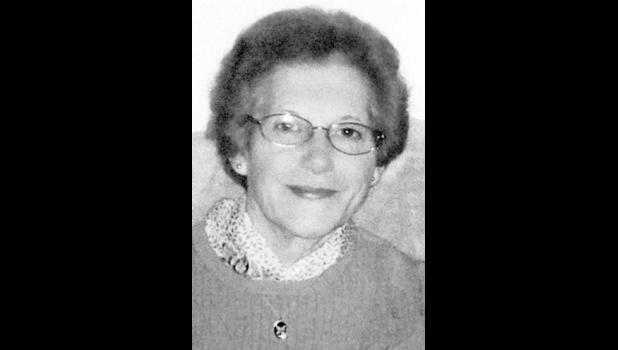 Mary M. Robison, 83, of Topeka, formerly of Denison, passed away Friday, Dec. 4, 2015, at her home in Topeka. She was born Sept. 18, 1932, near Ozawkie, the daughter of Frank L. and Thelma H. (Graves) Herring. She graduated from Ozawkie School in 1950 and attended Rock Creek School. On March 11, 1950, Mary mar­ried Robert “Bob” Robison in Rock Creek. She farmed with her hus­band most of her life and also had worked as a dispatcher for Jackson County Sheriff’s Office, Court Services in Shawnee County and was Clerk of the District Court in Holton from 1980 until her retire­ment in 1995. Mary was also the secretary for the Northeast Kansas Shetland Pony Pulling Club for several years and attended Larkinburg Christian Church. She especially enjoyed one-on-one cooking, sewing and conversations with her grandchil­dren and great-grandchildren. Bob preceded her in death after 60 years of marriage on Aug. 22, 2011. Mary is survived by her daugh­ter, Judy (J.D.) Boyles of Topeka; her son-in-law, Warren Miller of Holdrege, Neb. ; her sisters, June Ashley of Denison, Nelda McMil­lan of Topeka and Eva Rasch of Topeka; her sisters-in-law, Melba and Marcena Herring, both of Wathena, Mary Meier of Topeka and Neva Heiselman of Holton; her grandchildren, Jodi (Jason) Brandt, Joshua (Lori) Miller, J. R. Boyles and Jessica (Chad) Booe; and her great-grandchildren, Peyton, Jay­den, Easton, Nelda Zeigh, Griffin and Clete. In addition to her hus­band she was also preceded in death by her daughter, Nelda Miller; her sisters, Lynette Fleming, Leola McLain, Ruth Baker and Helen Sheldon; and her brothers, Jay, Leonard and James Herring. Funeral services will be held at 10:30 a.m. Wednesday, Dec. 9 at Mercer Funeral Home in Holton. The family will greet friends from 6:30 p.m. to 8 p.m. Tuesday at the funeral home.